National Park Service Director Jonathan B. Jarvis signed a policy memorandum last week that directs superintendents nationwide to prohibit launching, landing, or operating unmanned aircraft on lands and waters administered by the National Park Service. The policy memorandum is a temporary measure. Jarvis said the next step will be to propose a service-wide regulation regarding unmanned aircraft. That process can take considerable time, depending on the complexity of the rule, and includes public notice of the proposed regulation and opportunity for public comment. The Appalachian Trail Conservancy (ATC), in cooperation with the Appalachian Trail (A.T.) Community™ of Damascus, VA, has launched the Community Pathway Project, enabling individuals to purchase engraved bricks that will repave the sidewalk from S. Smith Street to Trestle Street in downtown Damascus. Funds raised will benefit organizations who dedicate time and resources to promote, protect and improve the A.T., including the Town of Damascus, the ATC and the Mount Rogers Appalachian Trail Club. Sidewalk production is projected for late November 2014. Phase one of the Community Pathway Project will only offer 2,180 engraved bricks, a number that symbolizes the total miles of the A.T. from Maine to Georgia. A minimum donation of $100 will provide individual donors with the opportunity to leave their mark of support, and for corporate supporters, $1,000 premium sponsorships with a custom logo are also available. Orders will be accepted through the summer or until the limit of 2,180 is reached. All donations are tax deductible through the ATC. “This exciting opportunity is designed to highlight the Appalachian Trail as a resource and asset in the community while providing direct support to the partners, including the Appalachian Trail Conservancy, that protect and promote this famous and well-used stretch of Trail,” said Brady Adcock, project manager and U.S. Department of Interior Volunteer in Service to America in Damascus. Damascus, designated as an A.T. Community™ in 2011, is known as “Trail Town, USA” due to the influx of hikers and bikers taking advantage of the various trails within the community. The A.T. follows Laurel Avenue through the heart of Damascus, and as hikers stroll through downtown, they pass by outfitters, bed and breakfasts, the town library, and restaurants and shops that all offer services for hikers. Damascus also hosts one of the largest hiking festivals in the country, “Trail Days,” which attracts more than 20,000 visitors each year. For more information about the Community Pathway Project, or to place an order, please click here. The Appalachian Trail Conservancy (ATC) is seeking volunteers to participate in an invasive exotic plant workday beginning at 9:30 a.m. Saturday, July 12 at Lemon Gap, along the Appalachian Trail (A.T.) on the Tennessee/North Carolina border. Carpooling to Lemon Gap will be available, and those interested should meet at 8 a.m. at the ATC’s Southern Regional Office parking lot, located at 160 Zillicoa St. in Asheville, NC. The free event, hosted by the ATC, will provide participants with an opportunity to remove non-native invasive plants and protect the native biodiversity of the Lemon Gap area. Volunteers will target the highly-invasive plant Japanese spiraea (Spiraea japonica) by pulling small stems or cutting and applying herbicide to larger stems. This work is a continuation of control efforts which began in 2011. "Come get your hands dirty and help protect the forest ecosystems of the Appalachian Trail through the removal of non-native invasive plants," said John Odell, resource management coordinator at the ATC. The workday will begin with a brief educational workshop to train volunteers on the importance of native plant diversity, plant identification and safe work procedures. Participants will also receive free guidebooks for the identification and control of invasive exotic plants. Afterward, the group will work along the A.T. to remove spiraea and any other invasive plants encountered. The ATC will provide all equipment needed for the workday. Volunteers are asked to wear long sleeves, long pants and sturdy hiking boots or shoes. Participants should also bring a lunch and at least two quarts of water. Those who carpool will return to Asheville by 5 p.m. Individuals or groups interested in volunteering or carpooling should contact Rhys Brydon-Williams at rbrydon@appalachiantrail.org or by calling 828.254.3708. For more information about the workday, visit www.appalachiantrail.org/events. About 80 people gathered at Maple Springs Trailhead on Saturday, June 7th, National Trails Day, to celebrate the Big Hollow Trail, a new 8-mile trail constructed in Mammoth Cave National Park for hikers, trail runners, and mountain bikers. Mammoth Cave NP has more than 90 miles of trails in the park. Hikers can use all 90 miles, plus go off-trail. There are 60 miles for horses and riders, and 25 miles of trails are designated for bikes. The development of Big Hollow Trail was an action item listed in the park’s Comprehensive Trail Management Plan, and parallels the 2010 National Park Service agreement with the International Mountain Bike Association to increase biking opportunities in parks and increase volunteerism. “Big Hollow’s purpose, design and maintenance are models for all national parks and public lands,” said Craighead. * The purpose of Big Hollow Trail is two-fold – it initiates a new way to use the park that is compatible with protecting its resources; and it is a trail where hikers, runners, and bikers can share a common space. * The trail design is sustainable, meaning it is easy on the landscape and will be easy to maintain. * The maintenance – the users of the trail will maintain it. Members of the Southwest Kentucky Mountain Biker Association have signed a partner agreement with the park, making them the stewards of Big Hollow Trail. Also speaking at the ceremony were Nick Daniels, Sierra Club; Chip Winger, Southwest Kentucky Mountain Bike Association; Andy Williamson, International Mountain Bike Association; and Russ Runge, acting superintendent at Mammoth Cave NP (Runge is sitting in for Craighead while she is on assignment at the NPS Southeast Regional Office). Runge noted that urban forestry students from Great Onyx Job Corps also played an important role in creating Big Hollow Trail. “Last year, Great Onyx students cleared more than 100 dead or hazardous trees from the route of the trail, to make way for the contractor to begin his work,” said Runge. Friends of the Smokies needs your help this week! In honor of First Tennessee's 150th Anniversary, the First Tennessee Foundation is granting $5,000 every day to eligible nonprofits for 150 days! 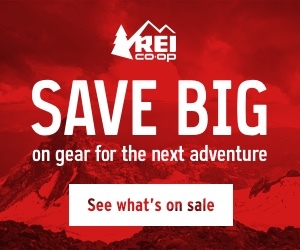 This is your chance to help Friends with funding that goes to the Great Smoky Mountains! Once on the website, nonprofit organizations are listed alphabetically. Simply go to the "F" tab and find Friends of the Smokies on the 4th page, or just click here. You can vote everyday from every device that you use, such as your home computer, work computer, smartphone, or tablet. According to an NPS Morning Report posted yesterday, an 18-year-old North Carolina man was arrested Thursday evening, June 5th, in connection with a reported kidnapping earlier that day. Early Thursday morning, June 5th, maintenance worker Paul Bryan alerted Blue Ridge Parkway rangers of an empty vehicle crashed off the road and on its side down a small embankment, near mile post 234 on the Parkway. The responding ranger, David Hynes, found two people walking down the road a short distance from the crash scene. They said that they had crashed about 1 a.m. and had set up camp near the road about a quarter mile from the scene. One of them, a teenage girl, had an arm injury. Alleghany Rescue Squad responded to transfer her and the uninjured man to a hospital in Elkin, North Carolina. While at the hospital the girl reported that she had been kidnapped. That evening, Steven Haynes, from Stokes County, North Carolina, was arrested at his home without incident on state charges of kidnapping, felonious restraint, assault by pointing a gun, and assault on a female. He is being held on $150,000 bail. The North Carolina State Bureau of Investigation and the FBI are leading a joint investigation. On Saturday, June 21st, Great Smoky Mountains National Park will host the annual Women's Work Festival at the Mountain Farm Museum from 10 a.m. to 4 p.m. This festival honors the vast contributions made by the women of Southern Appalachian, and showcases lifeways that women used to keep their families going in the late nineteenth and early twentieth century. As part of the celebration, demonstrations among the historic buildings will include hearth cooking, soap making, cornshuck crafts, sewing, spinning, and traditional mountain music. Families will have a chance not only to see into the past, but to also take part in hands on activities demonstrating the traditions of the southern Appalachia. Exhibits of artifacts and historic photographs will also provide a glimpse into the many and varied roles of rural women, and the Davis-Queen house will be open with an audio exhibit featuring the last child born in the house. All activities are free to the public. The Mountain Farm Museum is located on U.S. Highway 441 adjacent to the national park's Oconaluftee Visitor Center, 2 miles north of Cherokee, North Carolina. For additional information call the visitor center at 828-497-1904. Officials at the Cherokee National Forest say the U.S. Forest Service, like other federal agencies, has worked to streamline the budget while making tough management choices. Current agency funding levels require local units to closely look at what can be provided based on budget constraints and resource availability for long-term sustainability. Tellico District Ranger, Katherine Foster said, “Our road maintenance funding compared to previous years is down. In order to blade/grade as many roads as possible at least once, very little road-side mowing will be done. We are shifting priorities in ways that maximize what we can manage and accomplish with our current resources. Forest Service officials say the agency will continue to adapt to current fiscal realities, including shifting priorities in ways that maximize what they can manage with the current resources available. Those extremely tough decisions will vary based on local needs and resources. For additional information please contact the Ocoee ranger District at 423-338-3300 or the Tellico Ranger District at 423-253-8400. At 14,433 feet, Mt. Elbert ranks as the highest mountain in Colorado. It’s also the highest point between Mt. Whitney in California, Fairweather Mountain in Canada, La Malinche Mountain in Mexico, and Mont Blanc in France. But don’t be intimidated - it’s a relatively easy hike - if you have good fitness and are properly acclimated. Below is a short video highlighting some of the outstanding scenery you'll see on this hike. For more detailed information on this hike, please click here. 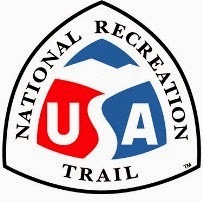 The national recreation trails program is jointly administered by the National Park Service and the Forest Service in conjunction with a number of other federal and not-for-profit partners, notably American Trails, which hosts the national recreation trails website. Both the Secretary of the Interior and the Secretary of Agriculture have the authority to approve designations in response to an application from the trail's managing agency or organization. For the full list of trails being designated this year as national recreation trails, please click here. Great Smoky Mountains National Park officials have announced the temporary closure of three park historic structures over the course of the summer. 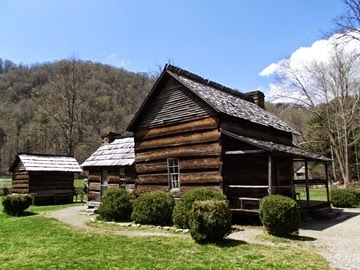 The Joe Queen House in Oconaluftee, NC, the Hiram Caldwell House in Cataloochee, NC, and the Noah Bud Ogle Cabin along the Roaring Fork Motor Nature Trail in Gatlinburg, TN will each have repair work completed by the park’s Historic Preservation Crew. In addition, the flagstone walkways at Newfound Gap will be undergoing sequenced closures to facilitate needed masonry work. The Joe Queen House in Oconaluftee, NC has been closed to the public since Tuesday, May 27 in order to replace the roof over the historic kitchen. Scaffolding, as well as a temporary fence in a 20-foot perimeter, has been erected to allow the park’s preservation crew to safely complete the necessary repairs. The house is scheduled to reopen to visitors on Saturday, June 7. 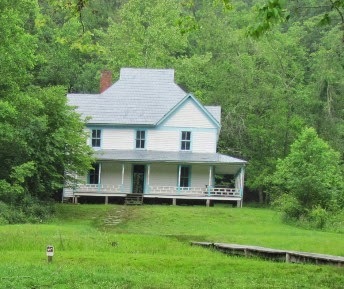 The Hiram Caldwell House in Cataloochee, NC will be closed to the public from Monday, June 9 until Friday, July 18 to conduct repairs and repaint the exterior. Scaffolding will be erected around the structure for the duration of the project to allow park staff to perform work on the foundation, windows, porches, soffits, ceilings and floors. Due to the extensive nature of the repairs and hazards of personal injury, public access will be prohibited. Signs and barricades at the foot bridge will be installed, as well as temporary fencing in a 20-foot perimeter around the area. The house is scheduled to reopen for visitation on Friday, July 18. The Noah Bud Ogle Cabin on Roaring Fork Motor Nature Trail will be closed to the public from Monday, July 21 until Friday, August 15 to replace the wood shake roof. The cabin will be accessible to the public on Saturdays and Sundays, but temporary fencing will be in place during the week to ensure visitor and staff safety. The parking area which serves the cabin will be open continually, but three spaces will be reserved Monday through Thursday for use by Preservation staff. The cabin will be reopened for normal visitation on Saturday, August 16. The walkways around the parking lot and Rockefeller monument at Newfound Gap will be undergoing partial closures from Monday, August 4 until Tuesday, September 30 to allow the preservation crew to reset and re-grout the flagstone walks. Park staff will place signs and barricades around the affected areas as the work progresses, removing them once the walkways are safe for visitor traffic. Work will be conducted Monday through Thursday during normal business hours. Access to the monument and comfort stations will remain open. 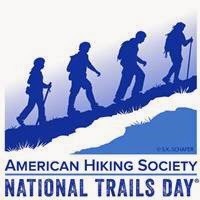 Since 1933, the American Hiking Society’s National Trails Day has celebrated our most basic form of transportation. North Carolina’s state parks system joins this June 7th celebration with more than two dozen events to discover, enjoy and help build trails around the state. Several state parks will dedicate new sections of trail. On June 6th, Grandfather Mountain State Park will inaugurate a new self-guided TRACK trail for children along the first mile of the Profile Trail in Avery County. Pilot Mountain State Park will host a hike and trail dedication on June 7th at the park river section’s Horne Creek Trailhead. Hikers in the Triangle can join a “volksmarch” along a new section of Raleigh greenway connecting the Prairie Ridge Ecostation to William B. Umstead State Park. Details on these events are at www.ncparks.gov. Volunteers can also help create new trails at Elk Knob, New River and Crowders Mountain state parks on June 7th. Also, the Friends of the Mountains-to-Sea Trail will have workdays at several locations along the 1,000-mile route from the Great Smoky Mountains to the Outer Banks. Details about volunteering near Raleigh, Durham, Winston-Salem and Asheville are at www.ncmst.org. 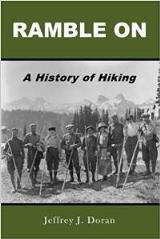 National Trials Day evolved from a popular ethos among trail advocates wanting to unlock the potential of America’s trails, transforming them from a collection of local paths into a true network of interconnected trails. To that end, the Trails Program of the N.C. Division of Parks and Recreation is staging the North Carolina Trails Workshop June 4-5 in Raleigh. The seminar will bring together trail planners, volunteers, parks and recreation professionals and interested citizens in a forum where ideas, tools and trail visions can be shared.